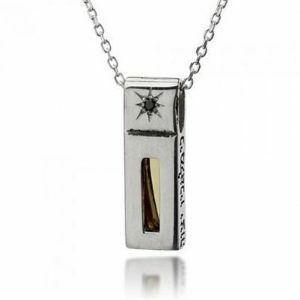 This stunning ring is a must have! 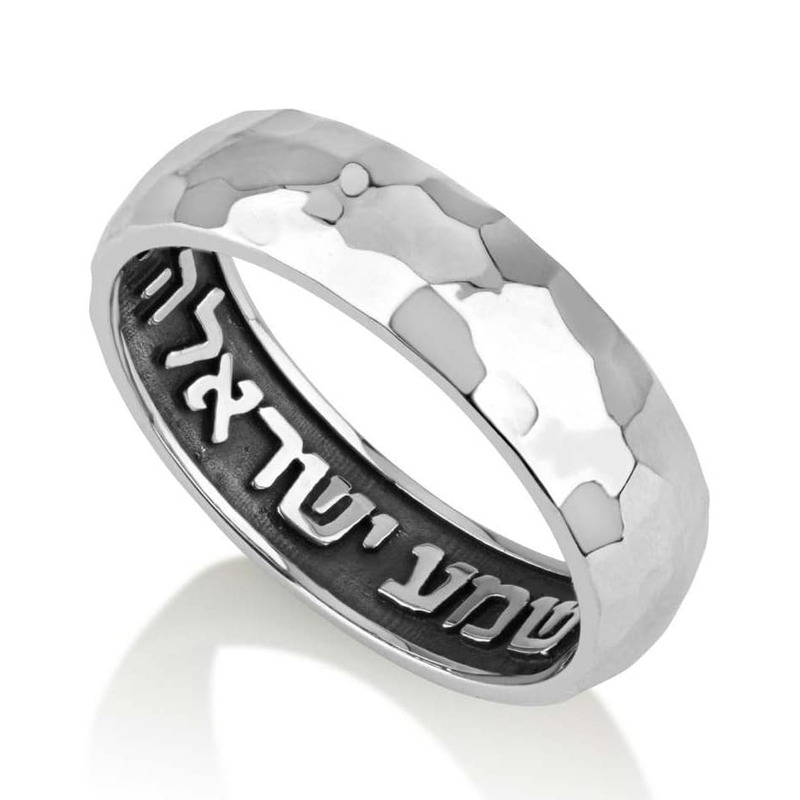 This beautiful ring features fine and shine finish with hammered texture, while the inside features a darker side with the beautiful Jewish pray phrase Shema Yisrael. 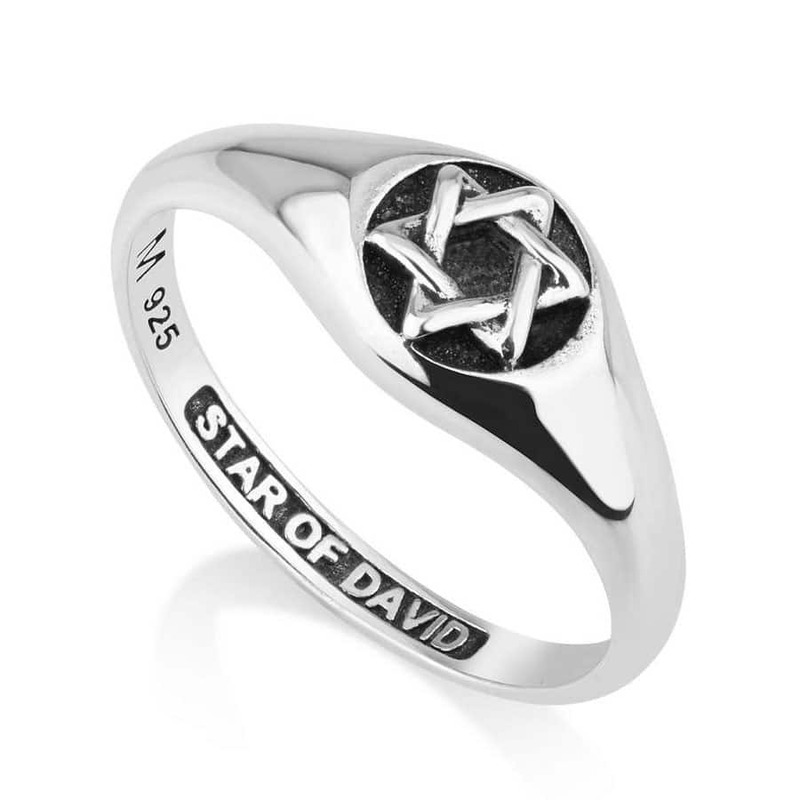 This stunning ring is a must have! This beautiful ring features fine and shine finish with hammered texture, while the inside features a darker side with the beautiful Jewish pray phrase Shema Yisrael. 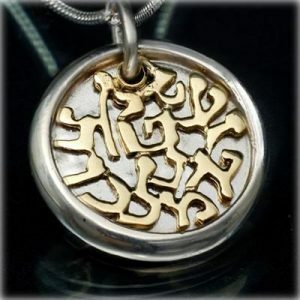 In Hebrew letters its states shema yisrael Adonai eloheinu Adonai echad – Listen, Israel: the Lord is our God, the Lord is one.